Carleton College (/ËˆkÉ‘Ërltáµ»n/ KARL-tin) is a private liberal arts college in the historic town of Northfield, Minnesota. The college enrolled 2,014 undergraduate students and employed 245 instructional faculty members in fall 2015. Carleton is one of few liberal arts colleges that runs on the trimester system. The 1,040-acre rural campus is located next to the adjoining 880-acre Cowling Arboretum, which became part of the campus in 1920. The school's location in Northfield places it 40 miles from the Minneapolis-Saint Paul metropolitan complex. The architecture of campus buildings ranges from Collegiate Gothic to contemporary, with the first building built in 1872 and the most recent in 2011. Since 2000, the institution has produced 104 National Science Graduate Fellows, 91 Fulbright Scholars, 24 NCAA Postgraduate Scholars, 21 Watson Fellows, 13 Goldwater Scholars, and 18 Rhodes Scholars. Carleton is also one of the largest sources of undergraduate students pursuing doctorates per one hundred students for bachelors institutions. In 2015, the school was designated a "Top Producer of Fulbright Awards for American Students at Bachelors Institutions" with 4 grants awarded that year, ranking it tied for 29th for undergraduate student awards. The school was founded on October 12, 1866, when the Minnesota Conference of Congregational Churches unanimously accepted a resolution to locate a college in Northfield. 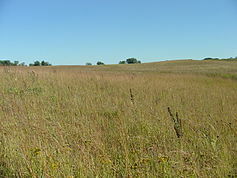 Two Northfield businessmen, Charles Augustus Wheaton and Charles M. Goodsell, each donated 10 acres (4 ha) of land for the first campus. The first students enrolled at the preparatory unit of Northfield College in the fall of 1867. In 1870, the first college president, James Strong, traveled to the East Coast to raise funds for the college. On his way from visiting a potential donor, William Carleton of Charlestown, Massachusetts, Strong was badly injured in a collision between his carriage and a train. Impressed by Strong's survival of the accident, Carleton donated $50,000 to the fledgling institution in 1871. As a result, the Board of Trustees renamed the school in his honor. 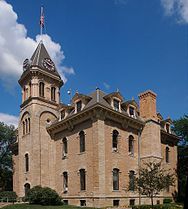 The college graduated its first college class in 1874, in which the first two graduates, James J. Dow and Myra A. Brown, married each other later that year. What are the academic rankings for Carleton College? What universities are similar to Carleton College?